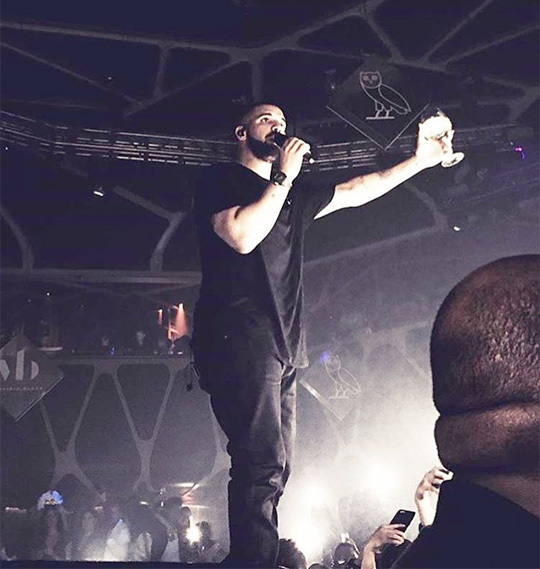 On December 31st, 2016, Drake brought in the New Year at Hakkasan Main Room inside the MGM Grand Hotel & Casino in Las Vegas, Nevada. During his party, Drizzy put on a show for the people in attendance and announced that it will be the last time he performs his Meek Mill diss song “Back To Back“. You can watch the 6 God make this announcement and see his final live performance of “Back To Back” in a video after the jump below!